We introduced this term's value of Respect in worship today. 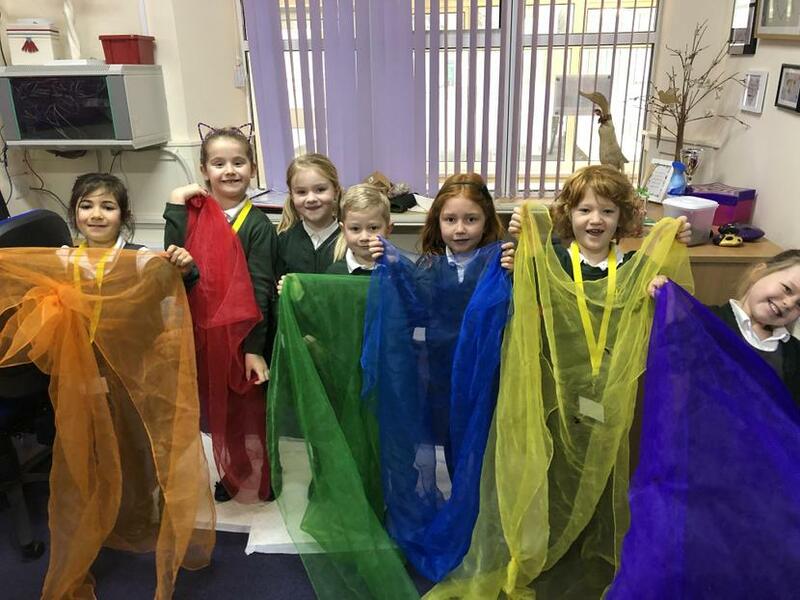 The Worship Team helped to tell the story of when God put a rainbow in the sky to celebrate the new world in the story of Noah's ark. In this story, each colour thought that they should be the only one represented, because they were the best. By the end, they realised that the rainbow would be most beautiful if they were all represented. Amelia in Y2 understood the story to mean that "We all look different, but we are all important and all deserved respect and love." Well done Amelia!